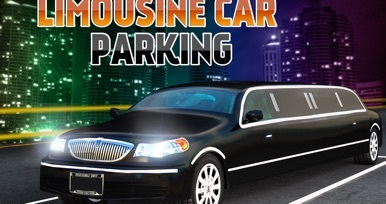 Ready to drive a big stretch limousine? With its big but, large rotation angle. Therefore before you can pick up passengers and drive within city limits where the traffic can be a major challenge for you. Its handy to get enough practice in an almost empty parking lot. You need to take corners the way a bus would take them. Always leave enough distance all around the limo in case cars, or other vehicles don’t see you driving. 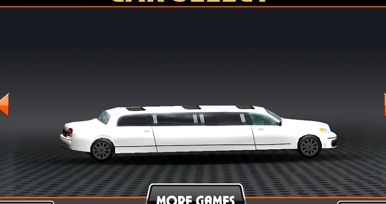 Driving a limousine in this 3D parking game is not easy, it also depends on the type of limo you drive. Be very careful with stopping, it takes longer to get a big stretch limo to stop than a regular size car, basically because it is twice as heavy. Remember make wider turns, turn slowly. 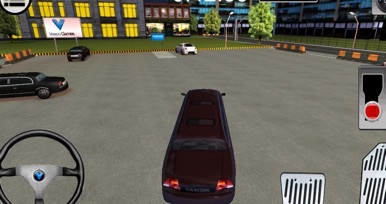 Limousine city parking 3D is cool new 3D parking game that gives you the chance to drive something else then a regular size car, truck, bus or even a tank! The big challenge in this 3D parking game is to finish the level before all the time is gone. So do not take too long with finding the parking spot and manoeuvring the stretch limousine in the right position. Every limousine driver has everything he needs to control his limo with, brake and acceleration pedals. You change the view so you can take a look from inside the limo at the situation. Sometimes you need to race to the parking spot, so you got enough time left to park the limousine. We hope you will have fun and will enjoy or newest parking simulator game from VascoGames. 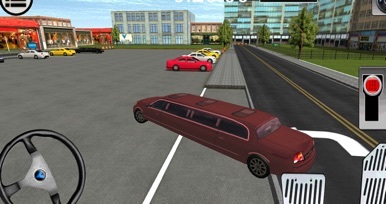 Limousine City Parking 3D is a parking game that you can download and play for free!